The Employee Retirement Income Security Act (ERISA) states that a person is a 401(k) fiduciary "to the extent that he exercises discretionary control or authority over plan management or authority or control over management or disposition of plan assets, renders investment advice regarding plan assets for a fee, or has discretionary authority or responsibility in plan administration." 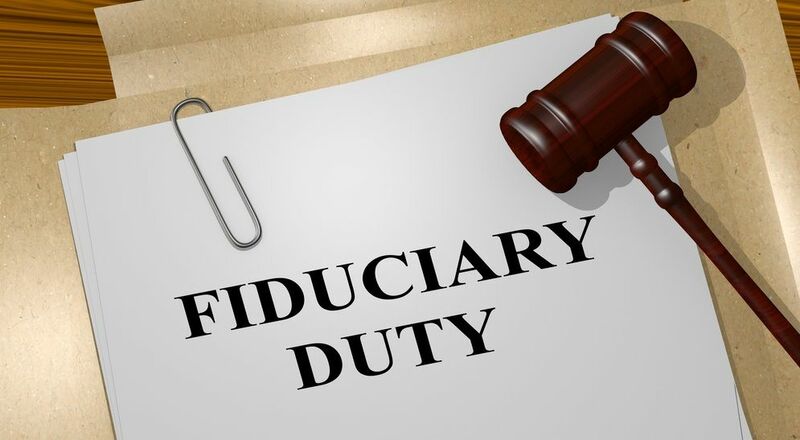 While ERISA defines several 401(k) fiduciary roles, a person’s fiduciary status is based on their plan function. 401(k) fiduciary responsibilities related to plan investments can seem particularly scary to employers, but they’re in fact the easiest to meet. They boil down to picking a fund lineup of “prudent” investments that gives plan participants access to a broad range of financial markets - so they can diversify their accounts. A prudent investment is simply one that meets its investment objective for a reasonable fee. Selecting competent service providers with reasonable fees may be the most important - and confusing – 401(k) fiduciary responsibility. This is the case for two reasons - 401(k) plans are technically complex and the services offered by 401(k) providers can vary dramatically in breadth, depth and price. While hiring an ERISA 3(38) financial advisor can be a great idea, I don’t recommend that employers outsource other 401(k) fiduciary responsibilities to their 401(k) provider. That’s because monitoring a 401(k) provider with fiduciary (discretionary) control over plan assets or administration can be difficult to impossible – which, ironically, increases an employer's fiduciary liability.